NNU is an online platform for earning especially for students. Today I will be reviewing Nnu Income Program. In this blog post, I will be telling you the good and bad of NNU income platform. N.I.P is a program aimed at dealing with financial problem of Nigerian citizens mostly for the youth, students, middle class and whoever sees it as a good opportunity to boost his or her financial status. This review is based on my experience been the member of the community so far. Below are what I have to say. So far NNU Income Program is classified as one of the genuine means that Nigerian earn money online without stress, am a testimony. Read carefully to see what i have to say concerning this earning platform. Am sure you are here because you want to know more about NNU Income Program and how the earning system works. You might be asking is NNU income platform legit or scam like other online money making platform that emerged previous years and end up taking innocent people money away. 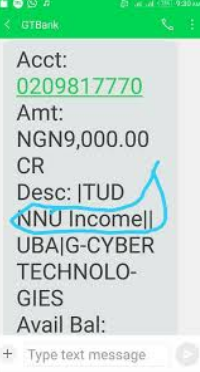 I advice you that before you register for NNU income pack read this review to know hoe it works. This will help you not to get lost on the way. I discussed in details how NNU Income Program works and went as far as telling you how they make their money. NNU Income Program is not like other Ponzi scheme like MMM, Twinkers and others. In NNU you don’t need a referral to earn or pay money into someone account. I will be breaking down how NNU Income platform works – how the company makes their money and steps to join them. Note that this review is not like other reviews where bloggers will tell you the good side and convince to click on their link to register. 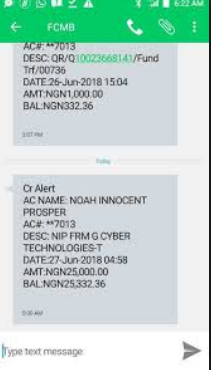 The following are screenshots of Alert received by some members of the income program. Sharing their testimonies on social media and chat platform. This earning means gives members opportunity to make money by daily login into their account, by sharing sponsored post to social media platform (facebook) and finally through commenting. In this method you can make money by inviting someone to join NNU Income Platform by registering through you links, but this not a must. Daily Login: Here you make money by logging into your account daily. It is always called daily bonus, you earn N50 ( fifthy Naira) daily. Sharing Sponsored: This is another means that you earn through NNU Income Program. This is on daily basis; everyday has its own sponsored post. So you are excepted to share the post to facebook timeline on daily basis and you earn N100 (hundred naira) by doing this. Commenting: In comment earning, is calculated per post of each relevant comment that you make. Now the NNU Income Program have upgraded their system, you can earn N2 (two naira) per each comment. You see how you can earn by reading news and update in the community. NNU have upgraded their earning opportunities. What am I saying – As a member if you login into your account daily you will be credited N350 (Three Hundred and fifthy naira) daily. This comprises of daily login bonus, sharing sponsored post and commenting. This implies that you are required to make 100 comments on daily basis to complete your earning. If you introduce a friend to NNU Income Program and he or she registers through your referral link. Once the persons account is approved you earns 62.5% of the payments made = N1,000 naira commission when anyone successfully register on NNU Income Program. The more people you refer to join N.I.P earning opportunity the more 62.5% commission earning. So, if you can refer at least 10 people to take advantages of N.I.P opportunity daily, you will be earning N10,000 Naira in a day. 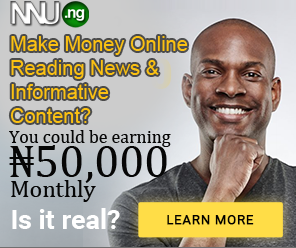 You see how you can earn unlimited from NNU income platform. Although you can earn passively by NARS means. If you are someone like me that don’t have time to convince people. 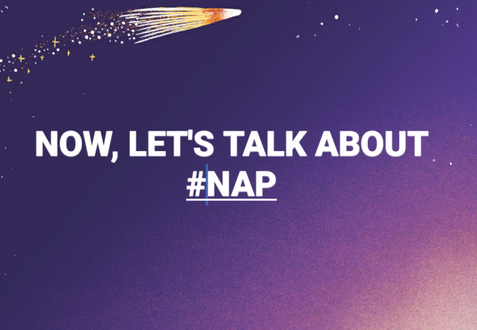 Let do a little calculation of how much you can earn from NARS program in a month. Let’s take a month that has 30 days in it. You are credited 350 daily – 350 x 30 = N10,500 wowoooo this is really cool. Imagine earning such amount in a month without stress – while at school or working in an office. · Through Google Advert: This is one of the major means they earn their money. Google advert is the platform that allows blog or website owners to register and allow advertise to be displayed on their blog. It is called earning through adsense, they usually pay monthly and what that counts is the amount of page views and clicks on advertisement displayed. Many bloggers earn huge from this. So this is one of the ways that NNU income platform gets their money. · Sponsored Post: Here a company can pay them to advertise on their website. Is called paid advert, personal companies pays for advert – having their brand been displayed on the website. · This last method is available for bloggers. As a blogger I can pay them to get a Dofollow link from their blog. Now you know how NNU Income Program makes their money. They are many scammers online today. Many web developers have created sites like NNU.ng scamming people. Here I will be giving you direct link to register. You are required to make a onetime payment of N1, 600 during the registration. This payment is once, and I bet you this money can be recovered in a day. So what are you waiting for why not click on the link above to start earning and join the testimonies of others. 2. 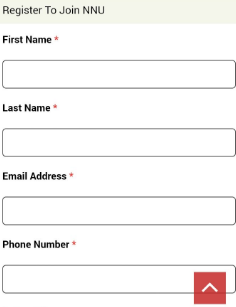 Click Register Now you will be directed to checkout where you will be required to enter your details for registration and make payment for NNU income Package. They many options for payment but I will advise you to use proceed with online payment via voguepay or alternative to use Direct bank transfer but from experience I recommend payment via voguepay for fast account approval. 3. After you have made your payment and is successful, then the page will redirect to where you will email NNU Income Program Administrators for account approval with the Email you registered with. It take 24 hours for your account to be approved. After account have been approved what next? Then you are official welcome to NNU income community. Login and start using the above discussed ways to earn. I advise you to use Passive and Active way to make you money. The bad is that sometimes the website will be down (NNU income Platform Website). But always come life after sometimes, this happens when they are upgrading their system to provide better services to their members. Someone Might Ask Won’t the Platform Crash? From my point of view and as an experienced online Entrepreneur, their crashing is far off. They are using genuine means to make their money and I believe that they earn massively paying out millions of naira every month. I believe that I have thrown more insight and made everything clear on what you need to know about NNU Income Program. Use the comment box below to ask your questions and air your views. Don’t forget share this post to friends using the social media button below. Do they pay people without referee? Why do people not get paid when they do not refer others? Is this a refer and earn program or not?